You have better things to do than go to the store. 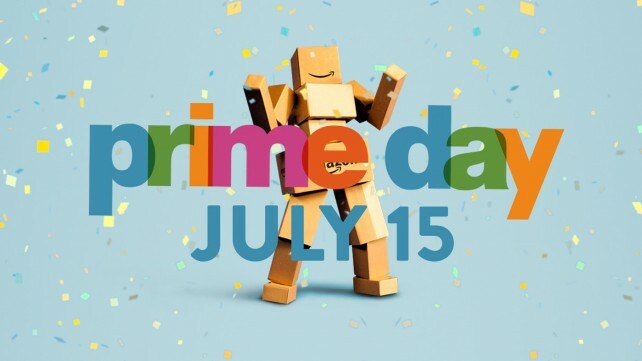 Skip the trip and shop for tens of thousands of daily essentials and gift items through the Amazon Prime Now app. Two hour delivery is free and one hour delivery is available for $7.99. 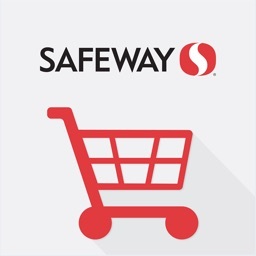 Shop for groceries, gifts, goodies and more from your favorite local stores. 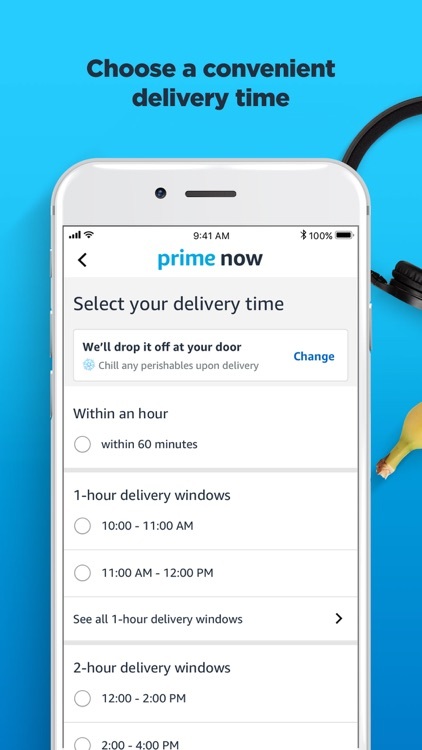 Amazon Prime Now will also deliver from your favorite restaurants. The only downfall is it's currently available in select areas. 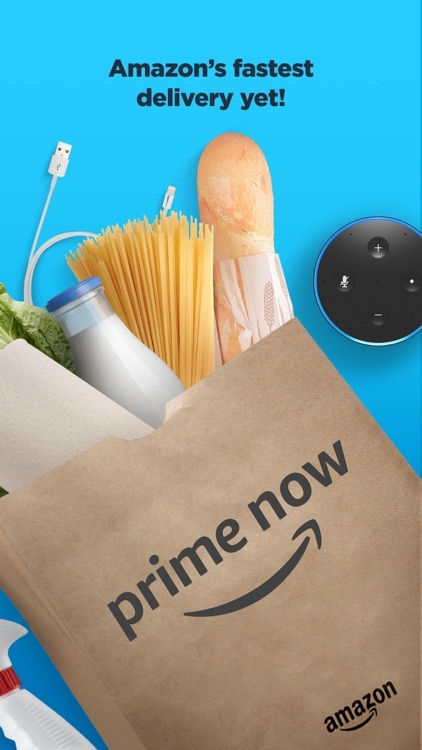 Prime Now, Amazon’s fastest delivery service yet, offers tens of thousands of everyday essentials delivered right to a customer’s door, seven days a week. 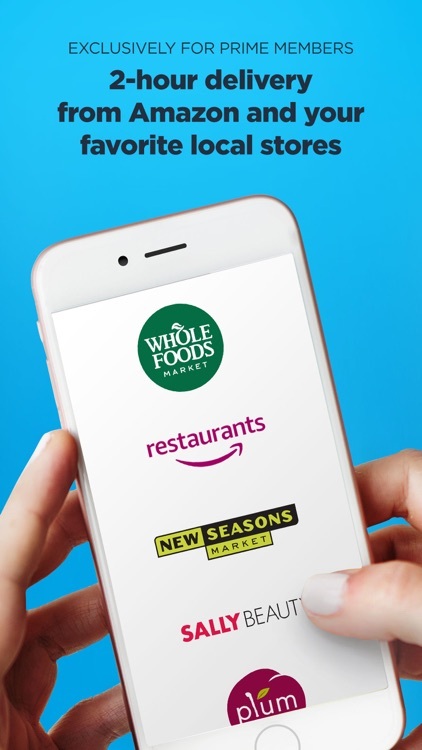 Shop from the best of Amazon, select Whole Foods Market stores, or a favorite local store and have your order delivered in ultra-fast speeds. Shop for all your daily essential needs, including produce, beverages, snacks, meat, alcohol (in select cities), organics, personal care, household cleaning, baby products, pet products, office supplies, electronics and more. 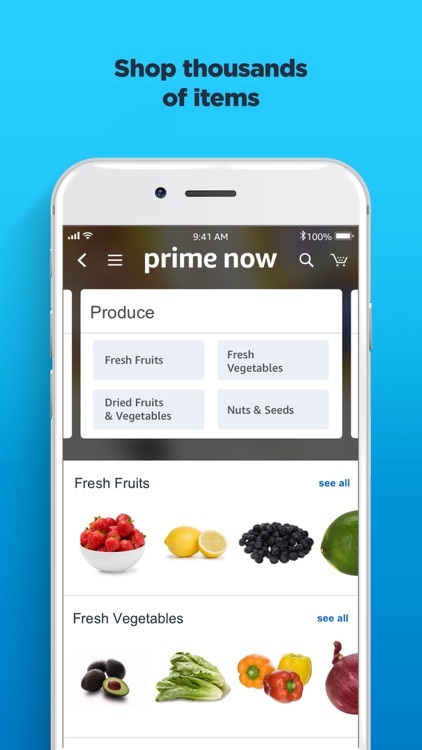 To place an order, Prime members can simply download the Prime Now app to shop, and use Amazon’s secure payment settings to check out. 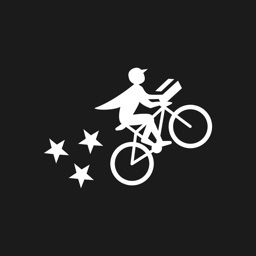 Orders will be delivered right to your door within free two-hour delivery windows or one-hour delivery for a fee. 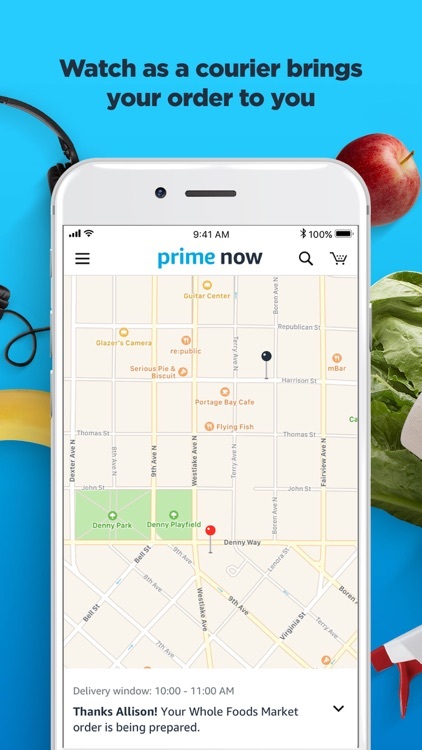 Using your Prime Now App, in select cities, you can shop from favorite local stores including Fresh Thyme, Bristol Farms, Plum Markets, Westside Market, Gourmet Garage, Surdyk's Liquor & Cheese Shop, Union Square Wine & Spirits, All the Best, Sally Beauty, Bartell Drugs, and more. The Prime Now App also lets you order the food you love from top-rated restaurants. 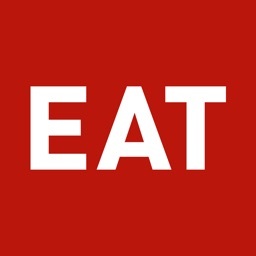 Get delivery from popular local restaurants as well as familiar favorites, including P. F. Chang's, Red Robin, Applebee's, Buca di Beppo, and Red Lobster. 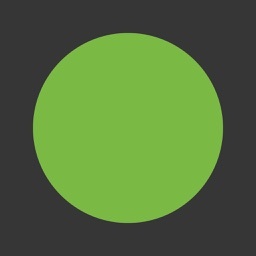 Amazon Restaurants is available in select cities across the U.S.
Prime Now delivers thousands of items in over 30 U.S. cities, including Atlanta, Austin, Baltimore, Boston, Charlotte, Chicago, Cincinnati, Columbus, Dallas, Denver, Houston, Indianapolis, Las Vegas, Los Angeles, New York City, Miami, Milwaukee, Minneapolis, Nashville, Orlando, Phoenix, Portland, Raleigh, Richmond, Sacramento, San Antonio, San Diego, San Francisco, Seattle, Tampa, Virginia Beach, and D.C. 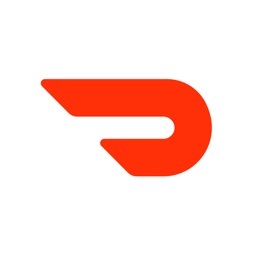 Simply download the Prime Now App and enter your zip code to see if we deliver to your neighborhood. The program has kicked off in Seattle and will expand to other major cities soon. 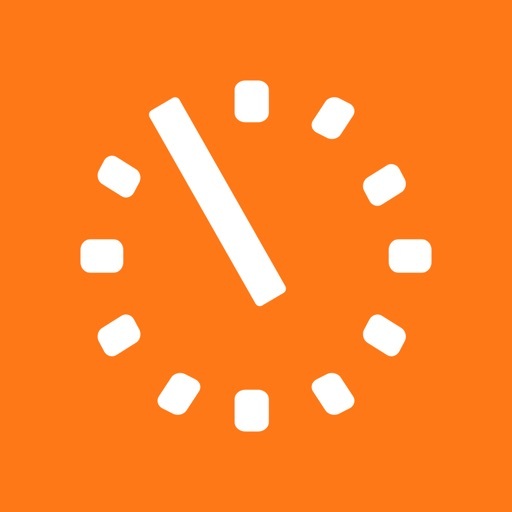 The online retailer is promising to offer twice the number of deals than on Black Friday.